We help you invest in what matters. Once your plan is in place, we aim to ensure that your investment choices accomplish your goals. The extensive range of services offered by our investment platform allows you and your advisor to build a portfolio for you now that adapts as your life changes. As independent investment advisors we have access to many leading money managers and exclusive institutional portfolios. All things equal we believe in lower fees, as most actively managed funds with higher management fees don't out perform in the long term. We believe in factor based investing to pursue out performance as illustrated by academia and firms like DFA. We offer Exclusive portfolios from Separately Managed Accounts (SMAs), Unified Managed Accounts (UMAs) institutional share class funds, retail no load funds and exchange-traded funds (ETFs). We custom build portfolios for our clients based on what the required rate of return is needed to fund all their various life goals through our Dynamic Financial Life Planning Services. We consider each client’s time horizon and personal biases when it comes to their preference for performance vs downside risk management vs tax advantaged portfolios vs overall fees. Sometimes those factors complement each other, other times one will outweigh the other factors. Therefore, we take into account all of our clients needs and biases before constructing their custom portfolios. LPL Financial and SCE FCU Wealth Management are not affiliated with any of the above referenced entities. Investing involves risk. No strategy assures success or protects against loss. Many of the greatest advancements in finance have come from academic research. 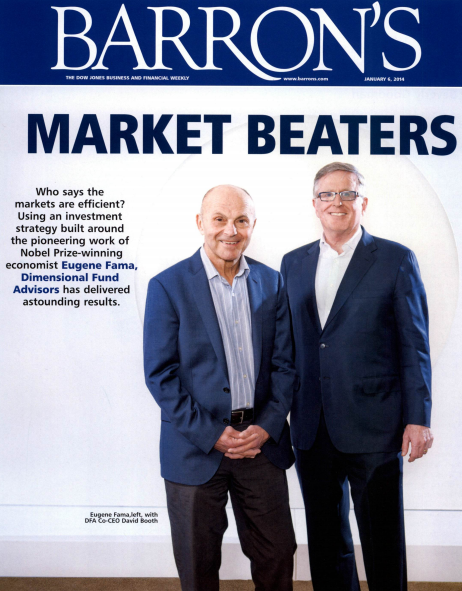 Dimensional Fund Advisors is a pioneer in translating those discoveries into practical investment strategy for clients. University of Chicago Booth Professor Eugene Fama talks about the evolution of modern finance.